Evidence continues to mount that the "volcanoes" on Jupiter's moon Io are exactly what we have been calling them: "electric discharge plumes." On January 19, 2006, NASA launched the New Horizons spacecraft, a mission designed to explore the outer solar system, including Pluto, Charon and recently discovered Kuiper Belt Objects (KBO). In order to test the space probe's onboard science packages before the planned July 2015 encounter with Pluto\Charon, NASA trained their instruments on Jupiter and some of its moons, especially Io. 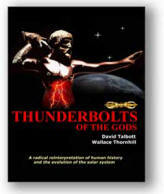 In previous Thunderbolt Pictures of the Day, several confirmed predictions about the electrical activity on Io have been discussed, notably, the intense electric arcing between the moon and its parent body, Jupiter. More recently, NASA scientists discovered a secondary electrical connection between Jupiter and its moon, Europa. "The remarkable filamentary structure in the Tvashtar plume is similar to details glimpsed faintly in 1979 Voyager images of a similar plume produced by Io's volcano Pele. However, no previous image by any spacecraft has shown these mysterious structures so clearly." (emphasis added). In truth, from a conventional perspective, the filamentary structure of this and other volcanic plumes on Io will never be adequately explained. The astrophysicists and astronomers who analyze these images have begun to gain ground, however, since New Horizons has returned stunning examples of the electrical connection with Jupiter. "On the left side of the disk, near Io's equator, a cluster of faint dots of light is centered near the point on Io that always faces Jupiter. 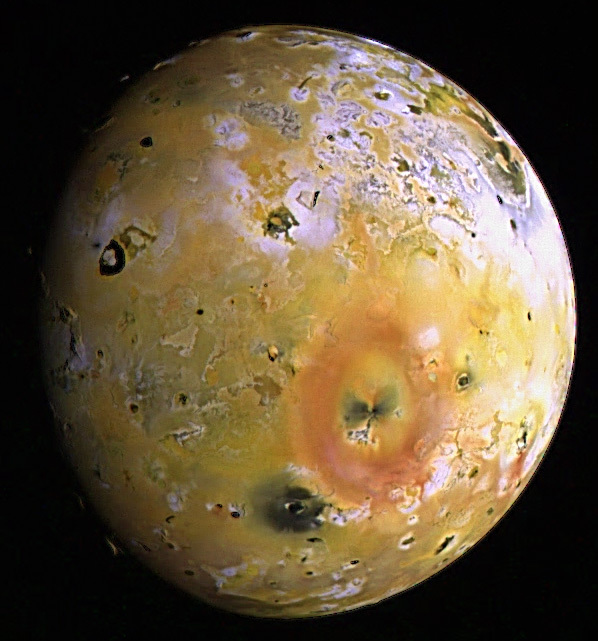 This is the region where electrical currents connect Io to Jupiter's magnetosphere. It is likely that electrical connections to individual volcanoes are causing the glows seen here, though the details are mysterious" (emphasis added). "The apparent filamentary penumbra on Io may be the first direct verification of the plasma gun mechanism at work in the solar system."